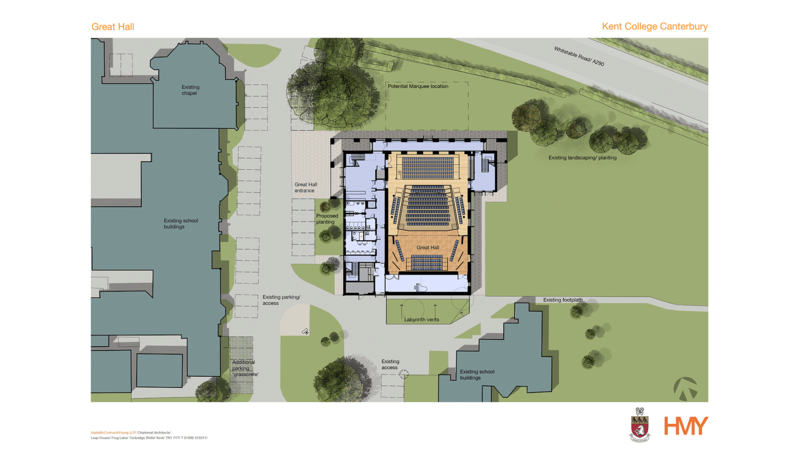 Kent College Canterbury is delighted to announce the start of construction of the Great Hall, an impressive 600-seat auditorium that will provide cutting-edge facilities for worship, concerts and the performing arts. 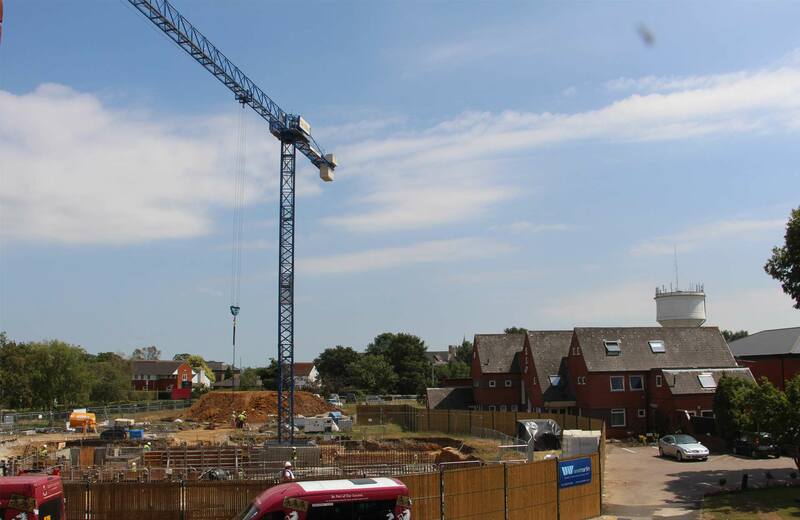 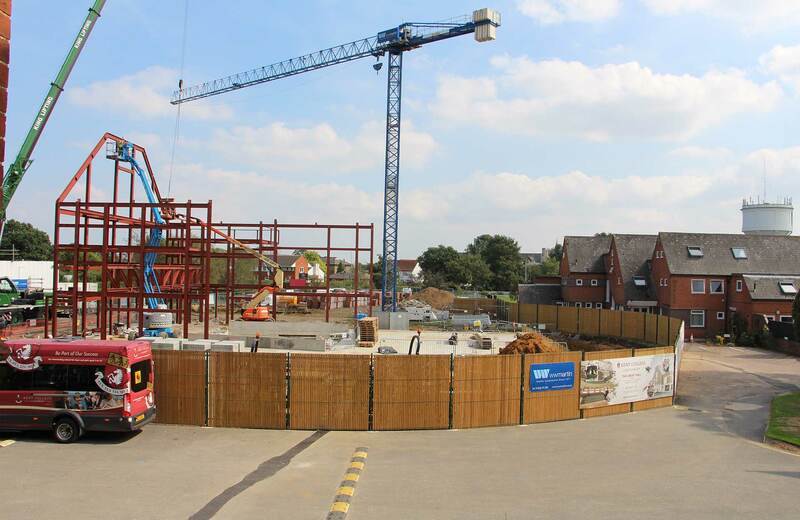 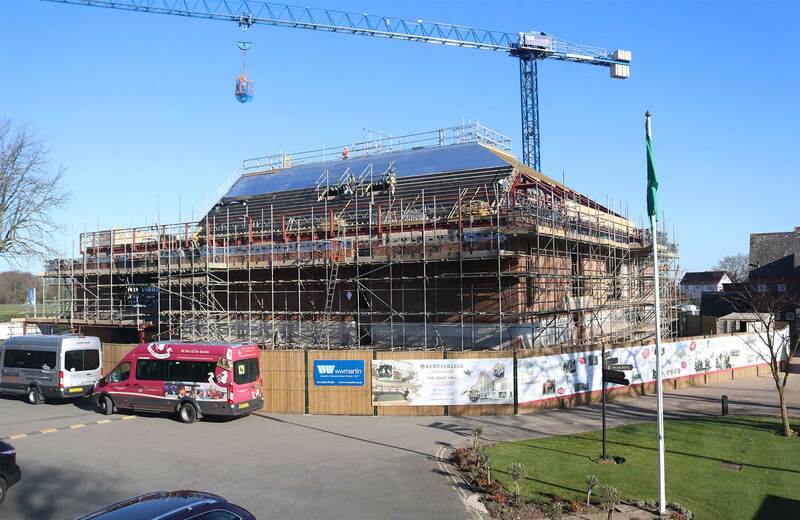 The Great Hall is an important step for Kent College in building a world-class campus, and it will be used as a versatile and practical space for the school’s highly regarded Drama and Music departments, as well as for the wider local community. 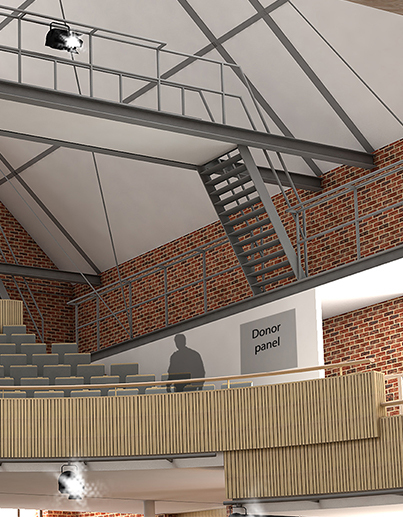 The purpose engineered space has been three years in the planning and draws on the latest in architectural design, with the ability to expand or contract its foyer, reducing the seating capacity from 600 to 389 for smaller performances, and creating space for exhibitions, galleries or event entertaining. 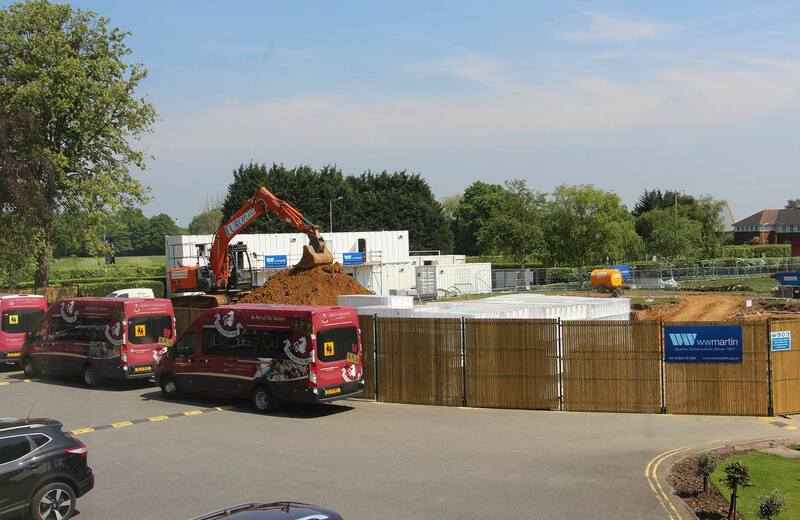 The building itself has a low-energy passive labyrinth heating and ventilation system, photovoltaic cells and is being built to comply with the highest level of sustainability standards. 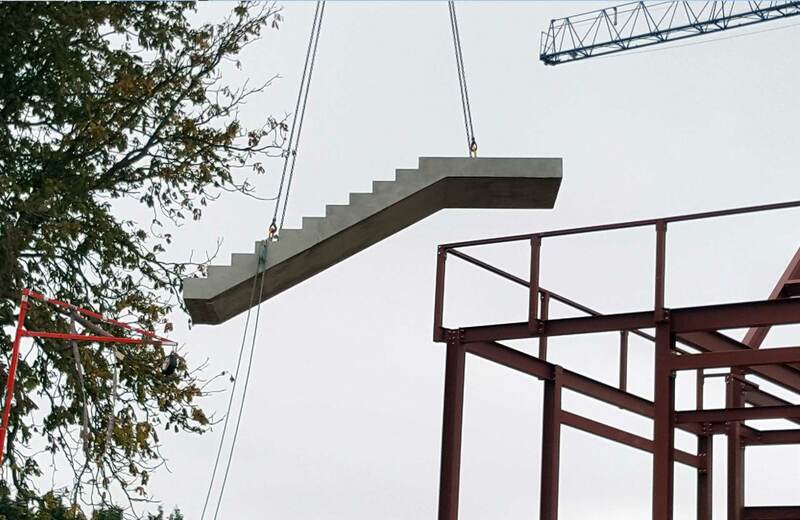 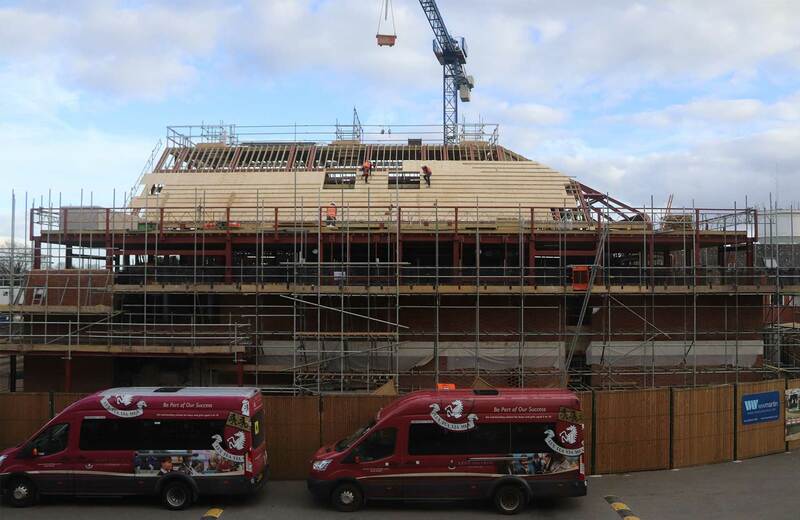 The construction of the Great Hall also heralds an exciting new partnership, as Kent College becomes a key sponsor for the Canterbury Festival . 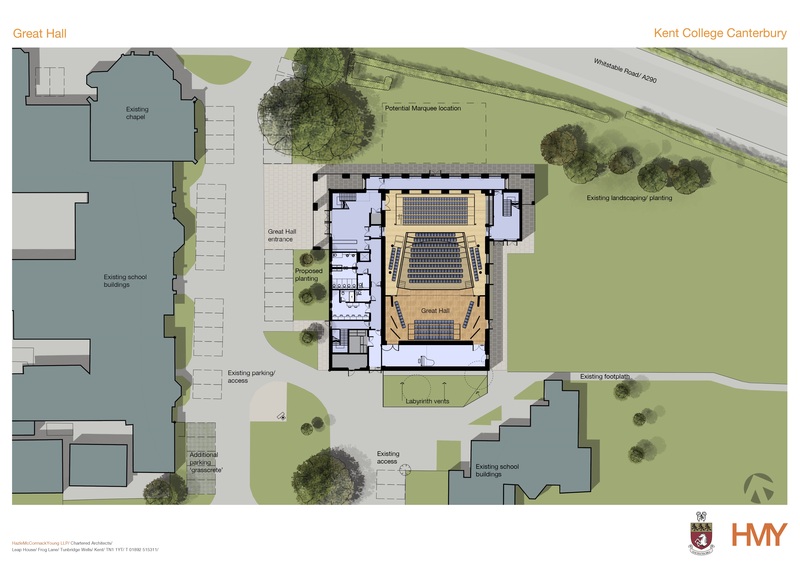 As the Hall will be used as a Festival location from 2019, this partnership will open up a whole new world of opportunities for performing arts at Kent College, both on stage and backstage, and for the wider Canterbury community. 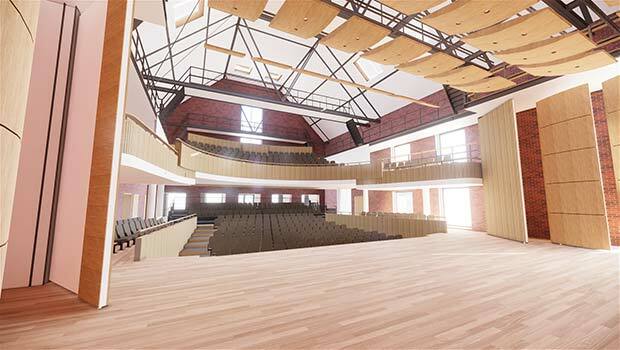 Even before the opening of the Great Hall, the school’s involvement in the Canterbury Festival is already underway with two students, Sophie Blummers (Year 12) and Alicia Hunt (Year 10), in the 2018 final of the Festival’s prestigious Foundation Bursary Competition. 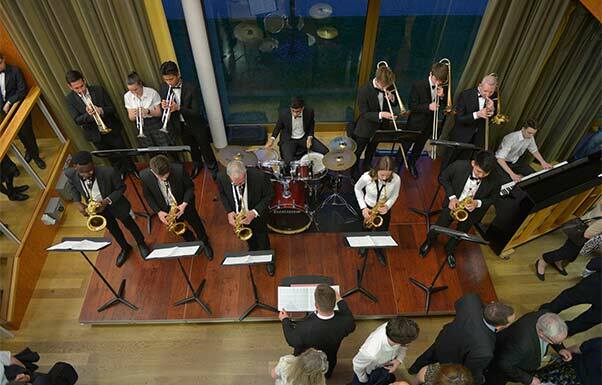 This competition supports excellence in talented young musicians across Kent. 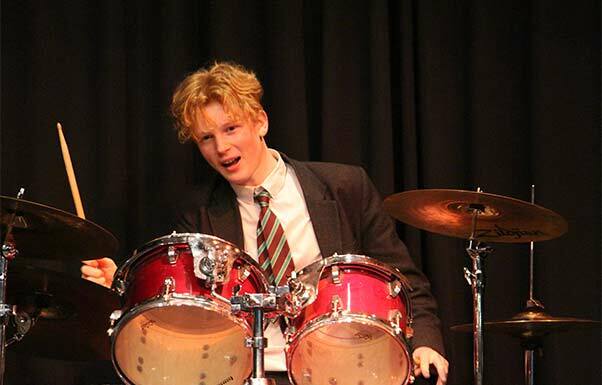 Senior musicians (aged 15-18) are eligible to compete for a cash bursary of £2,000 which they can put towards new instruments, tuition, courses or international trips. 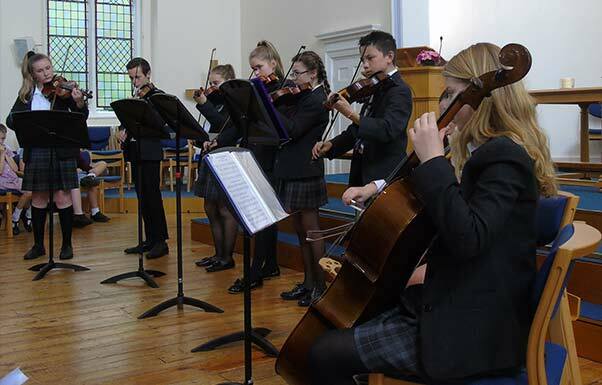 The winner is announced at the annual Bursary concert as part of the main Canterbury Festival programme, and we wish both girls well. 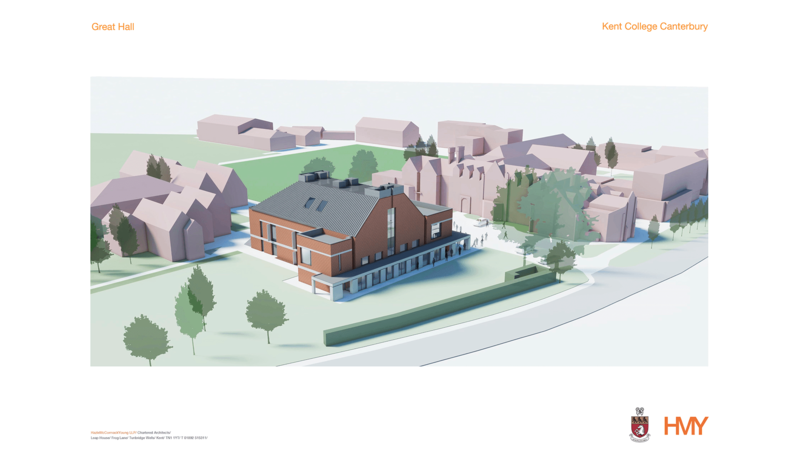 The Great Hall project is a reflection of the high level of confidence that the Canterbury community has in Kent College. 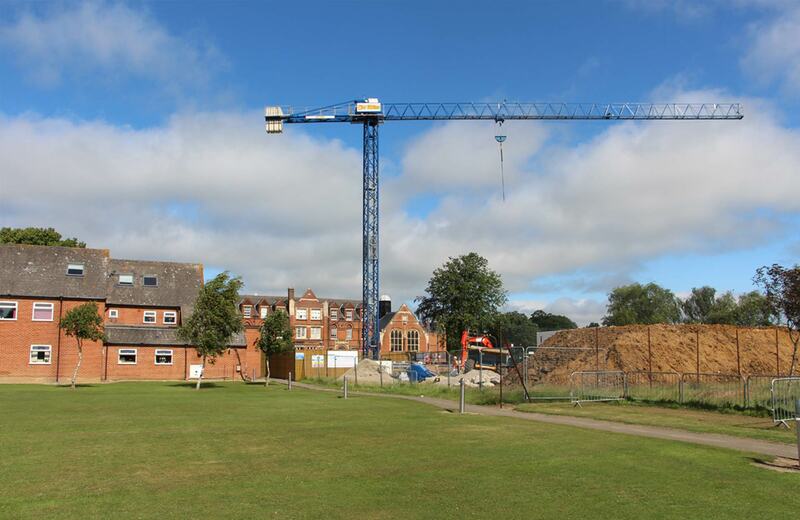 This is due to excellent pastoral care and focus on the development of students as individuals, resulting in impressive success both academically and in other fields; placing Kent College amongst the best schools in the country. 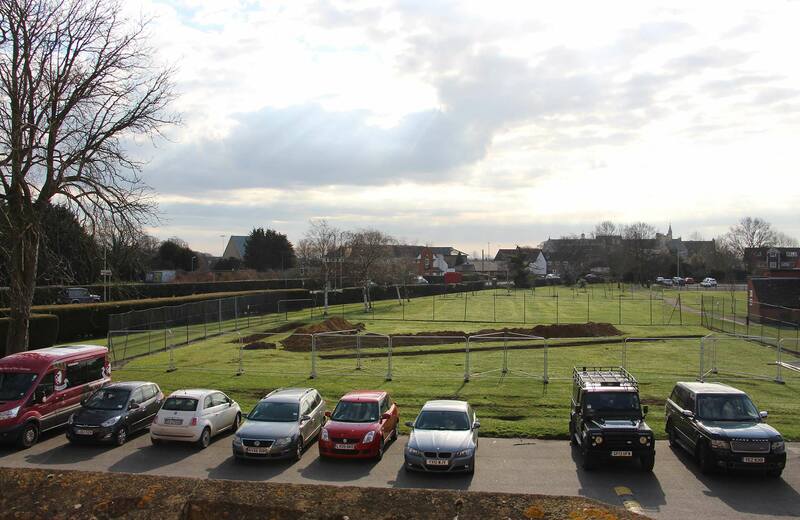 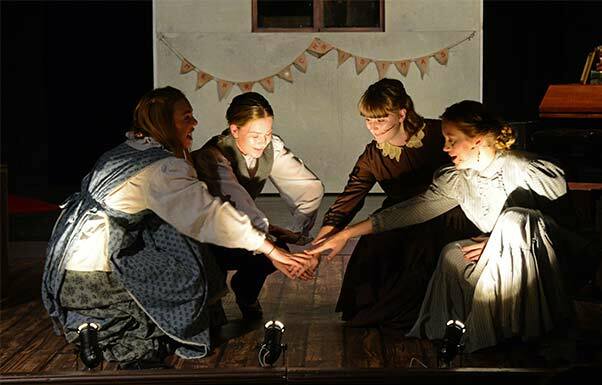 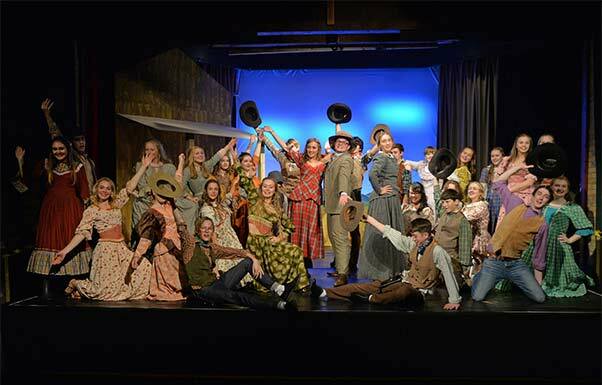 The new sponsorship between Kent College and the Canterbury Festival is also a vital life-line for the Festival, which recently lost its regular funding from the Arts Council and Canterbury City Council. 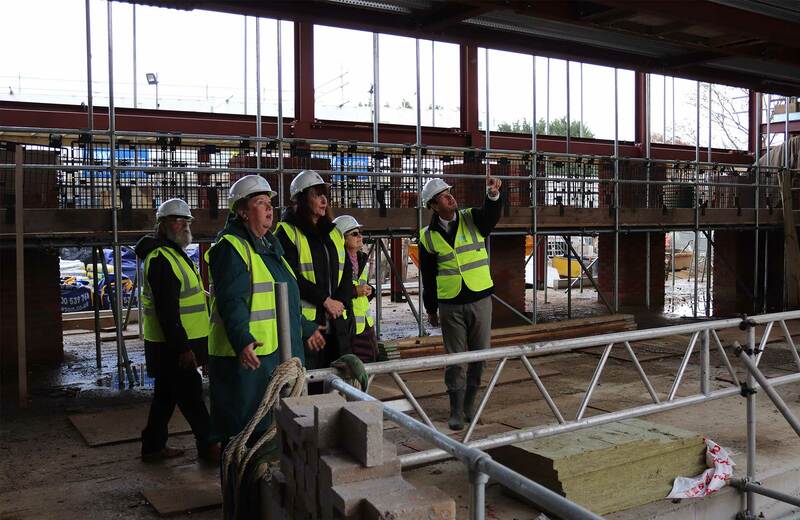 But according to Festival Director, Rosie Turner, it’s “business as usual” thanks to Kent College and other business sponsors stepping up to help bridge the funding gap. 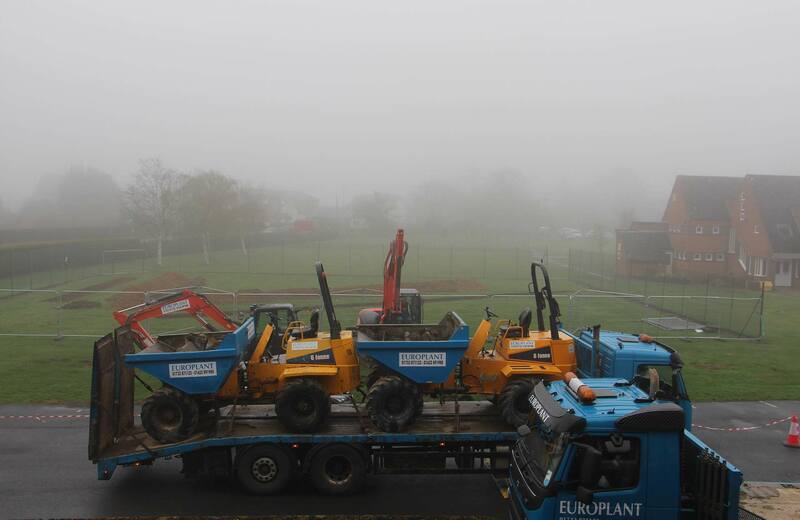 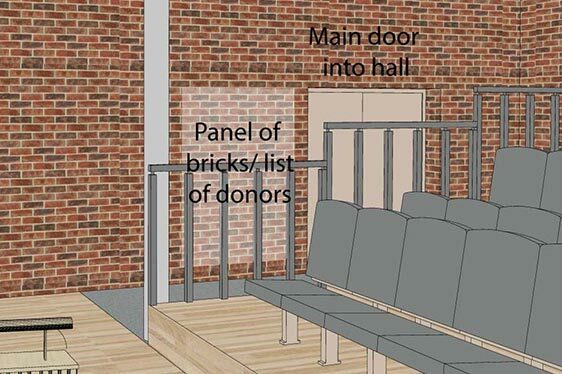 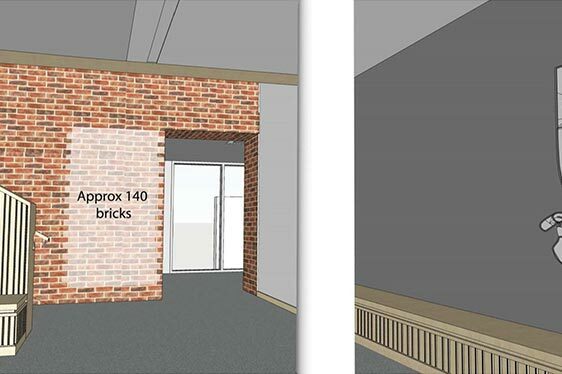 The school has been fortunate to receive a number of special donations to help put the financial building blocks into place to create the Great Hall. 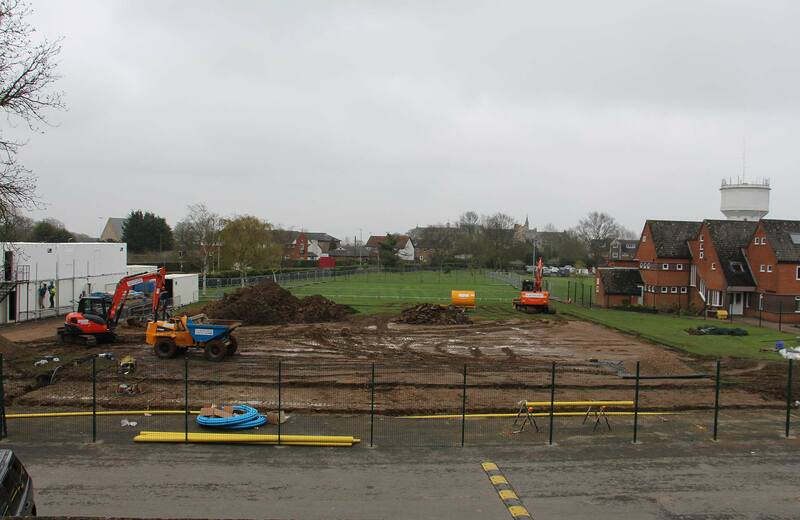 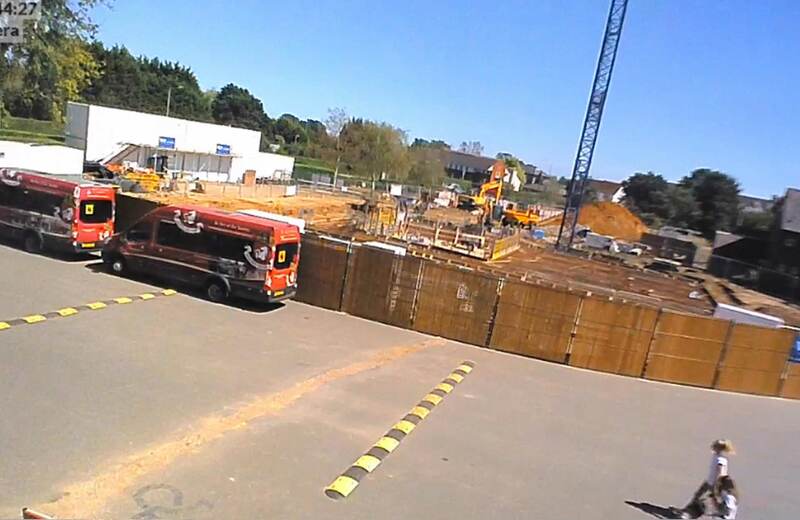 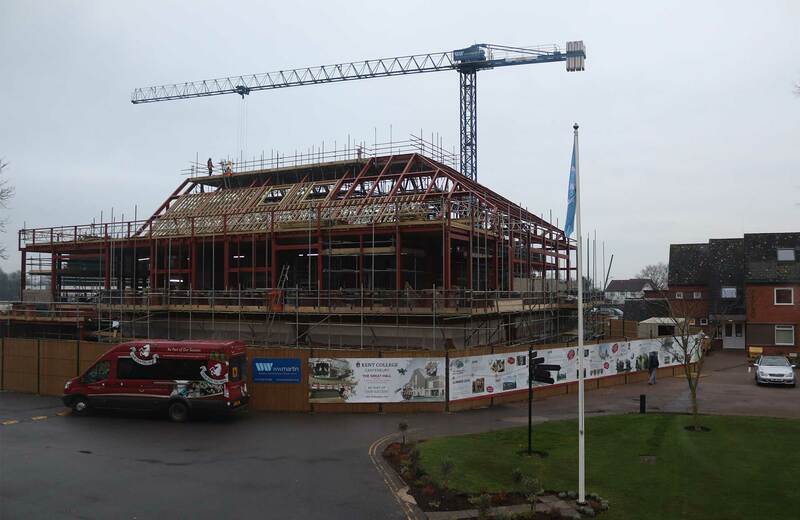 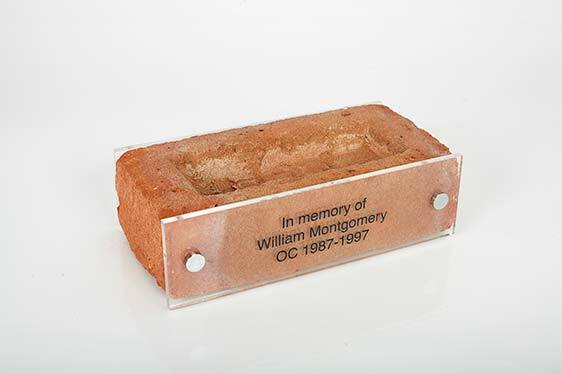 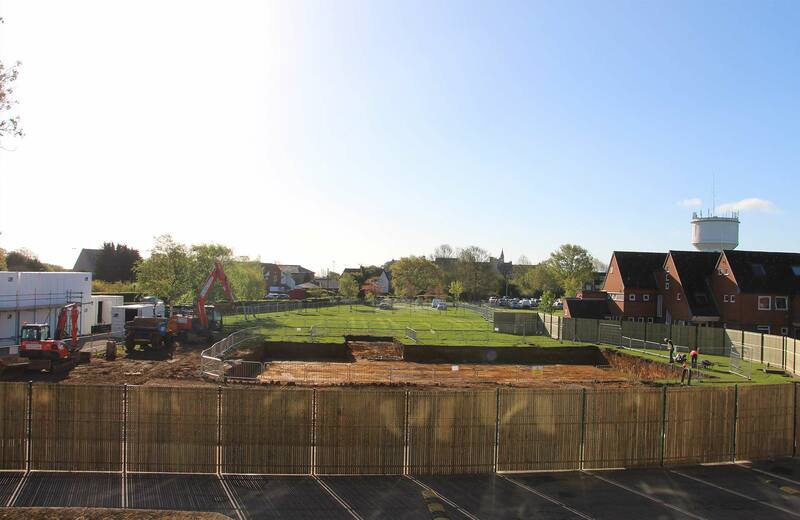 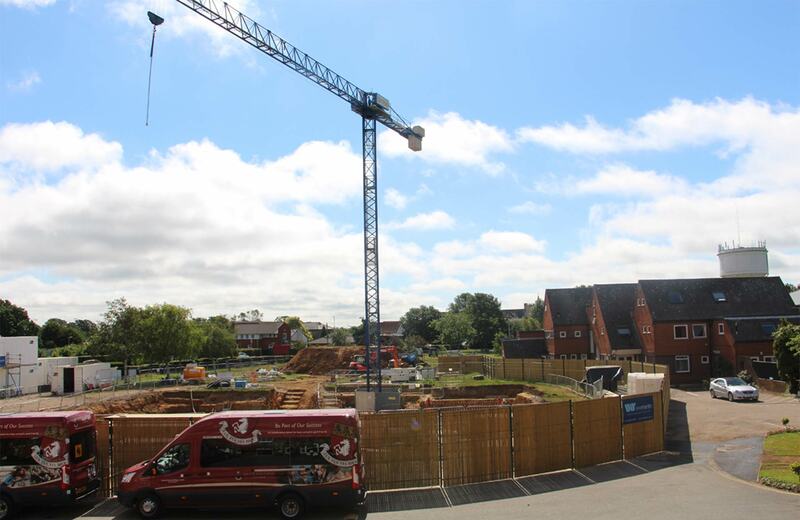 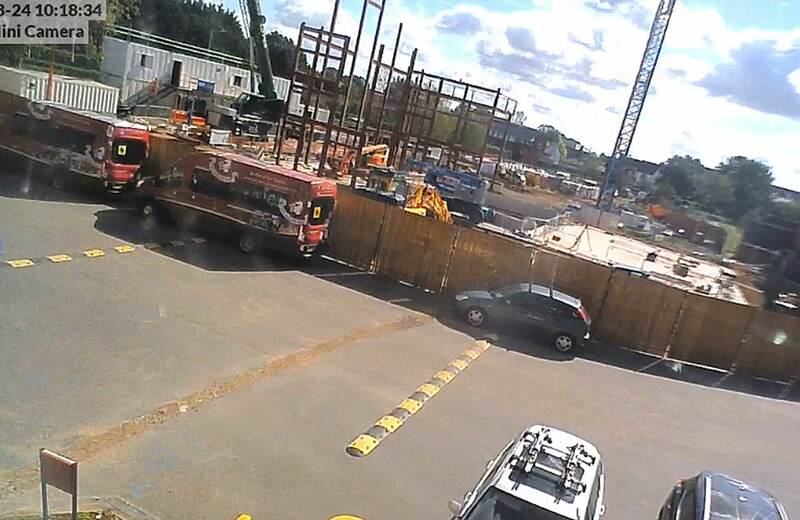 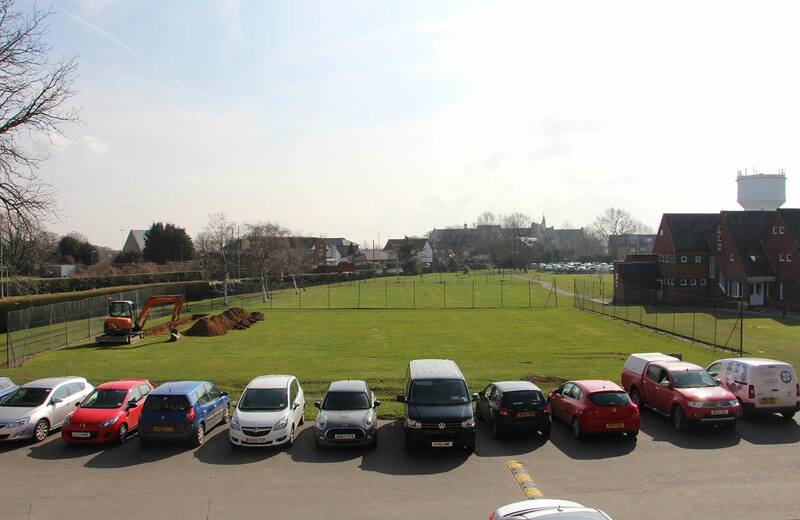 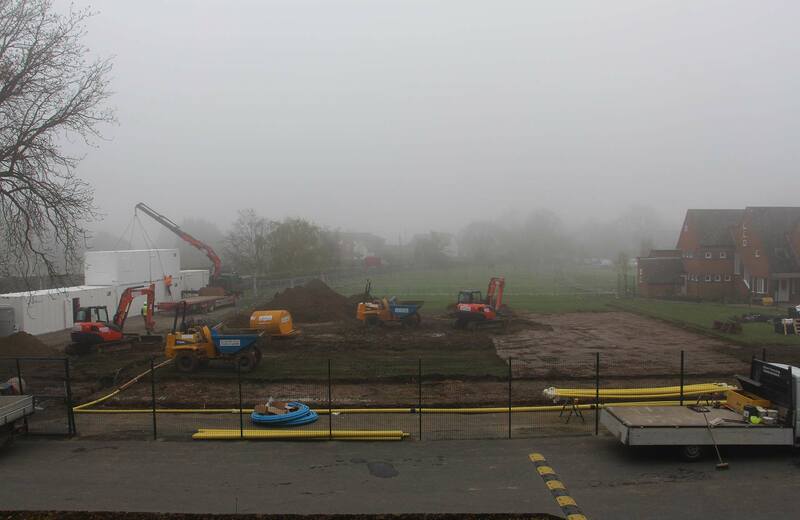 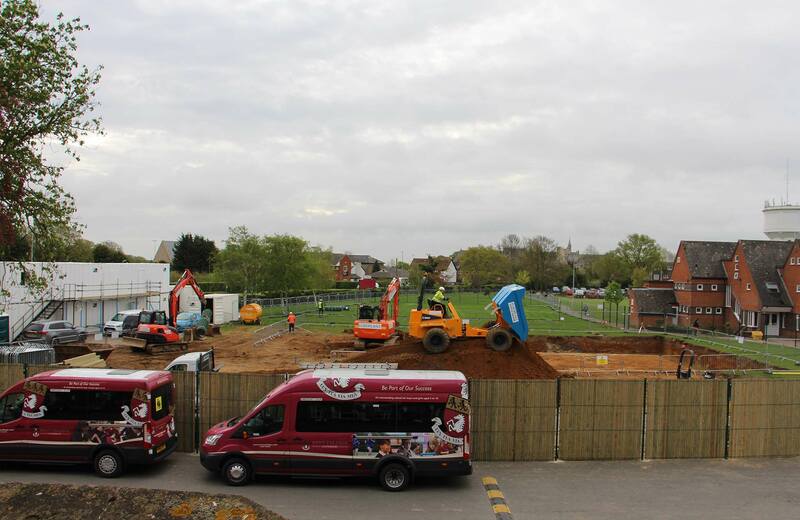 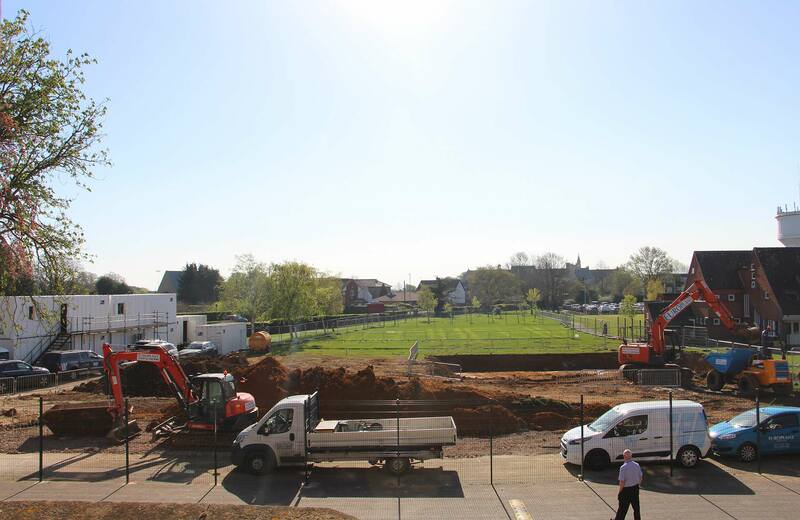 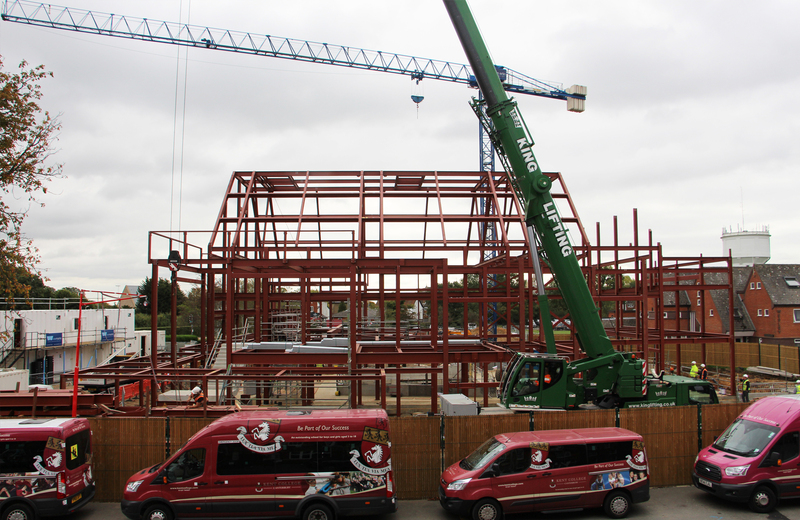 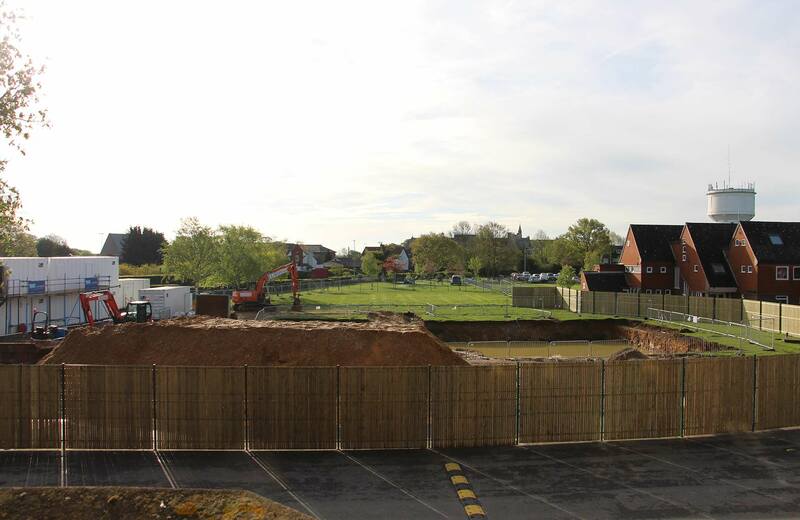 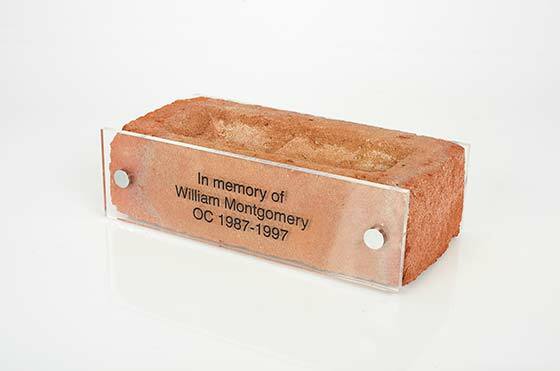 As the building has progressed we now have a variety of different naming opportunities that are being made available to students, KC families, staff, Old Canterburians or local businesses. 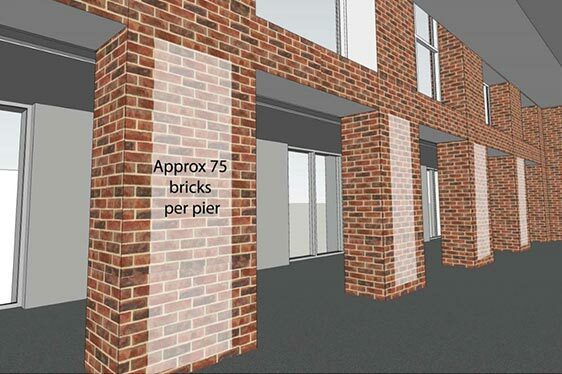 These vary from naming a brick to sponsoring a whole balcony. 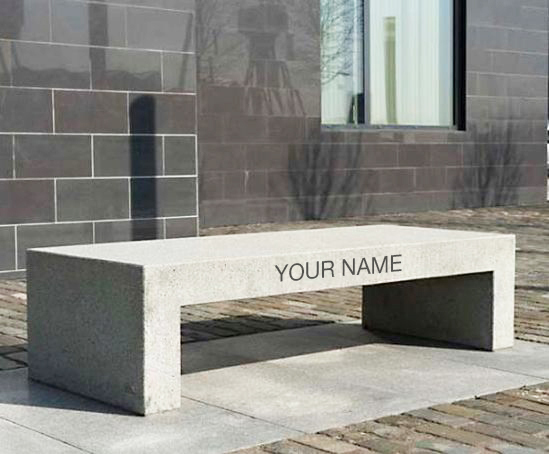 You can find details of all the various naming initiatives below. 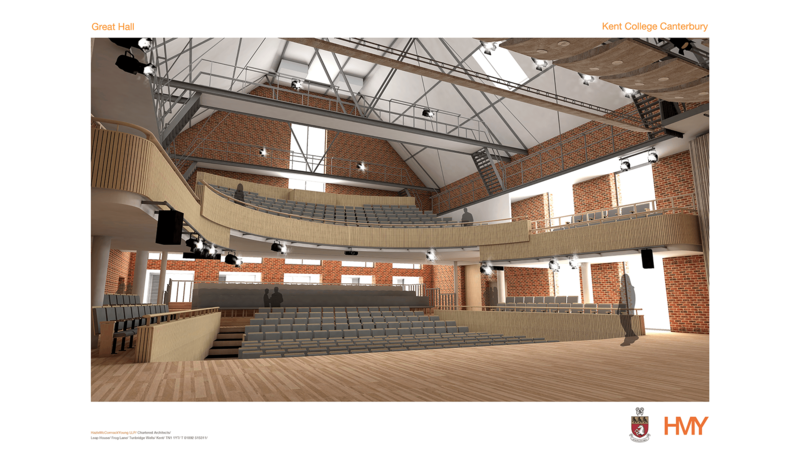 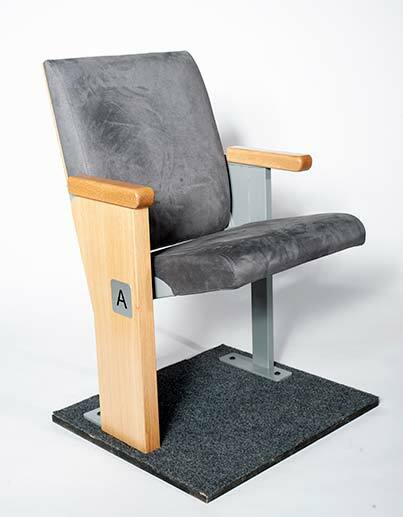 If you would like more information or would like to discuss the potential of naming the auditorium please contact development@kentcollege.co.uk. 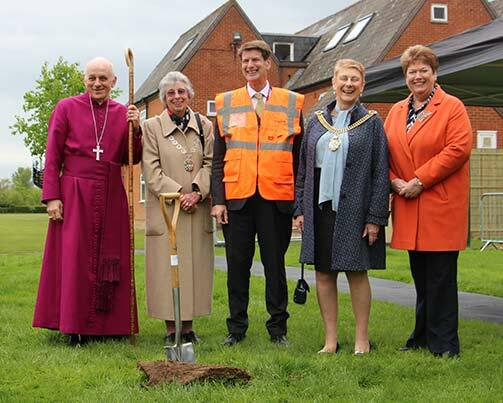 At the end of April 2018, local dignitaries joined Dr David Lamper, Executive Head Master of Kent College, for a ground-breaking ceremony to mark the start of construction of the Great Hall. 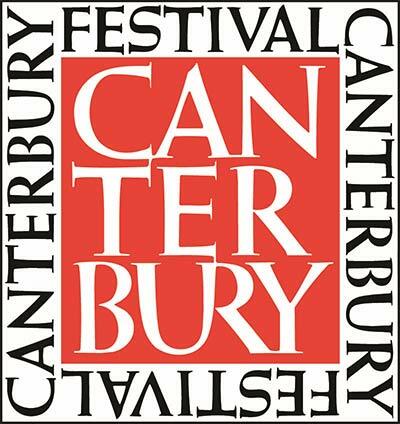 At this ceremony, Dr Lamper announced an exciting new partnership between the school and the Canterbury Festival. 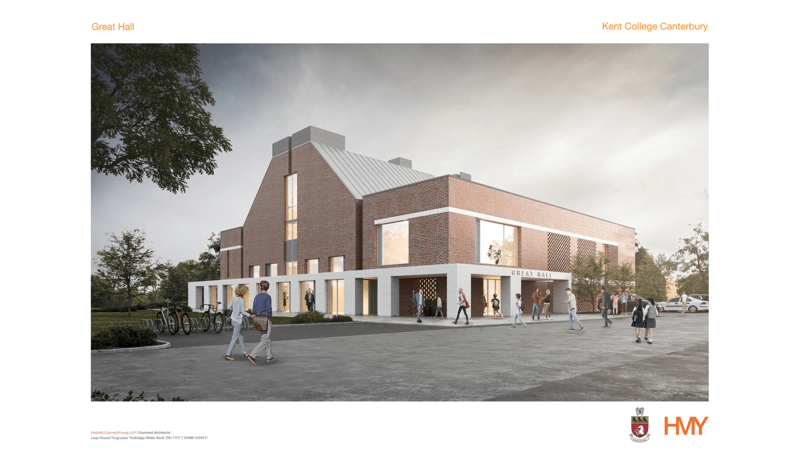 Kent College will become a key sponsor for the Festival and, from 2019 when the Great Hall will be completed, will host Festival events. 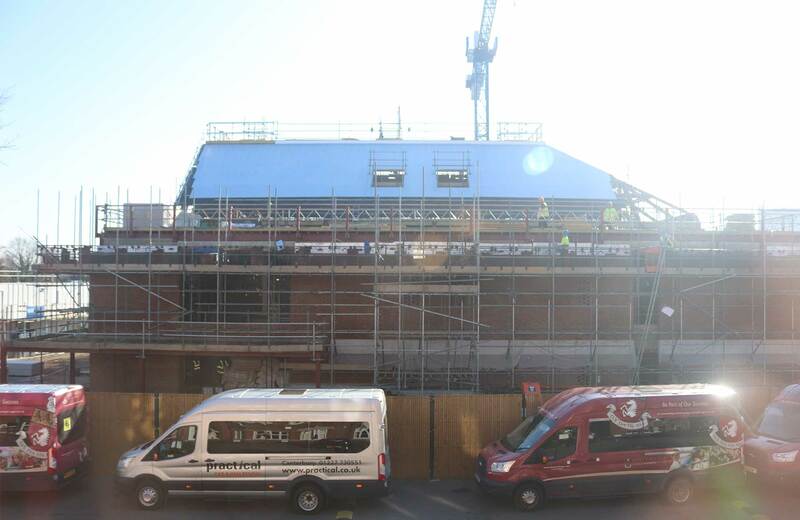 Work on the Great Hall started in Spring 2018. 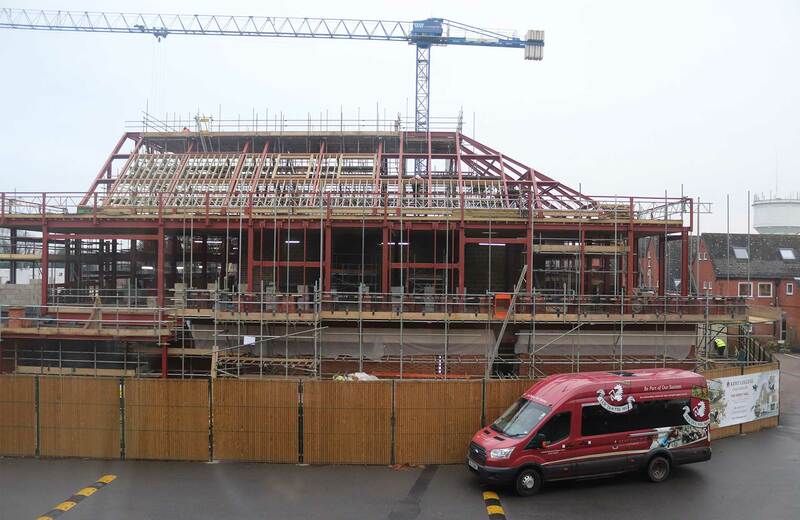 Follow the progress of its construction on this page.